One affordable way to begin transforming your car into a really mean high-performance machine is to scout for and install efficient cold air intakes. 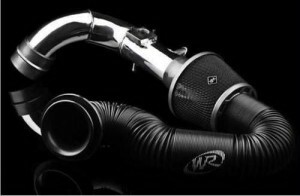 The right cold air intake kit for your car can upscale its engine efficiency and even improve your fuel mileage. With the constantly fluctuating gas prices, the option to use high performance air intakes is becoming more practical and compelling. Most stock air intakes have thermostats integrated in the system, which regulate the air flowing into the engine. For example, when the engine is relatively cool, only warm air is allowed to flow through in order to maintain the proper engine temperature. A high performance cold air intake, on the other hand, allows only cool air to pass through its filter. Cool air contains more oxygen per unit volume, allowing fuel to be burned at a better rate. A good cold air intake kit will enable a car engine to burn more fuel with less wastage, thereby producing more engine power. High performance cold air intakes also have smoother tube interiors and looser filters that that significantly reduce air resistance. There are several cold air intake brands available at Car Part Paradise, including three of the most popular: K&N, Spec D, and Weapon-R. There’s an air intake kit specifically designed for your car make and model. If you want to squeeze mileage from every drop of fuel, then replacing your stock air intake with a suitable model from these brands will ensure that engine temperature as well as fuel consumption is efficiently regulated. One of our most in-demand high performance air intake kits is the Secret Weapon Intake System developed by Weapon-R. Made of top grade aluminum alloy, the Secret Weapon Intake kit substantially improves system stability and allows air inflows that are as much as three times the volume allowed by conventional intake systems. The kit’s filter system also enhances airflow volume without allowing unwanted debris and pollutants to pass through. If you are a style nut, you’ll also find the sleek, catchy exterior look of the Secret Weapon Intake kit a perfect fit to your taste. This entry was posted by Sami on October 5, 2011 at 7:28 pm, and is filed under Performance Parts. Follow any responses to this post through RSS 2.0.You can leave a response or trackback from your own site.